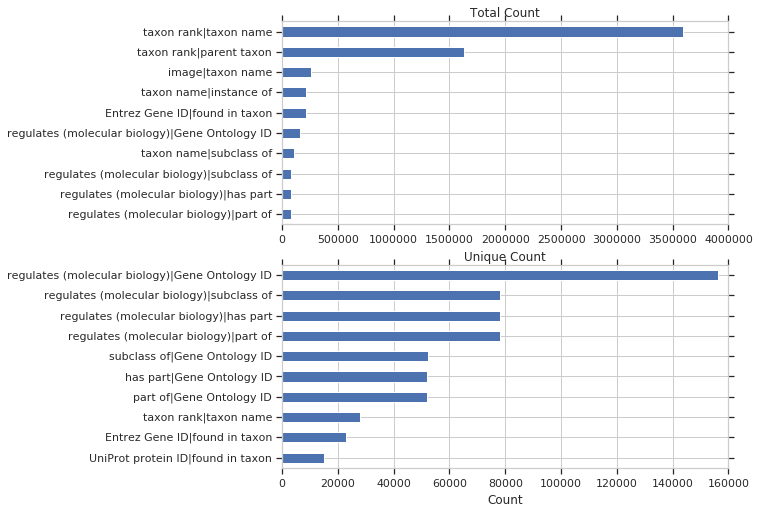 This is part 2 of a blog post describing Wikidata SPARQL query logs. Part 1 is here. In this part, we’ll look at the most used items and specifically look at diseases, drugs, genes and proteins. And then look at co-occurrence of properties within queries.. 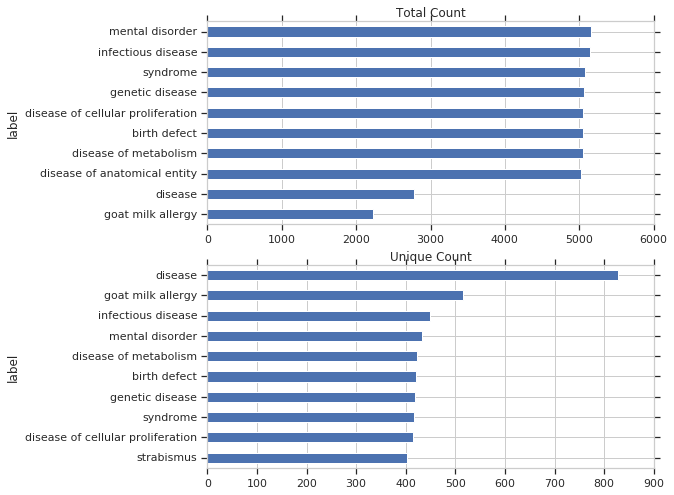 I then retrieved all diseases, drugs, genes and protein from Wikidata and summed the counts for each type. The table below shows some summary information for each. The columns unique and total display the number of unique and total queries containing any item of that type, respectively. 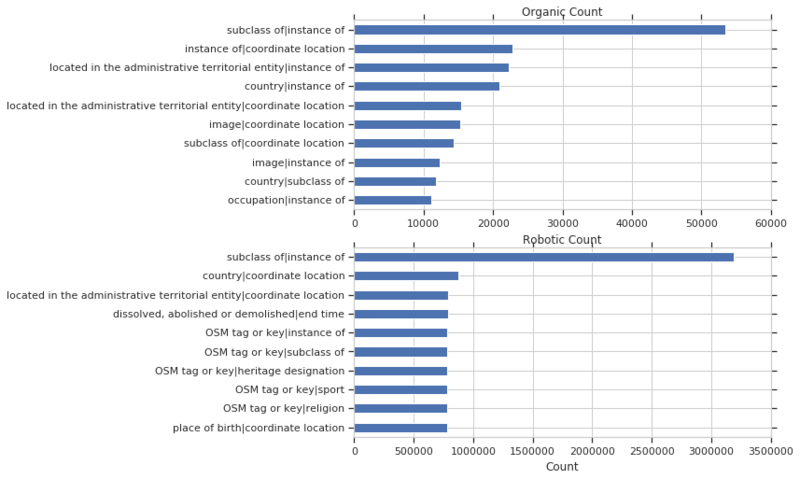 The columns organic and robotic contain the number of unique queries classified as organic or robotic, and num_items contains the total number of each type in Wikidata. If two properties are used together within the same query, it may indicate something special. And lastly, I wanted to see the most common useragents for each of these pairs of properties. 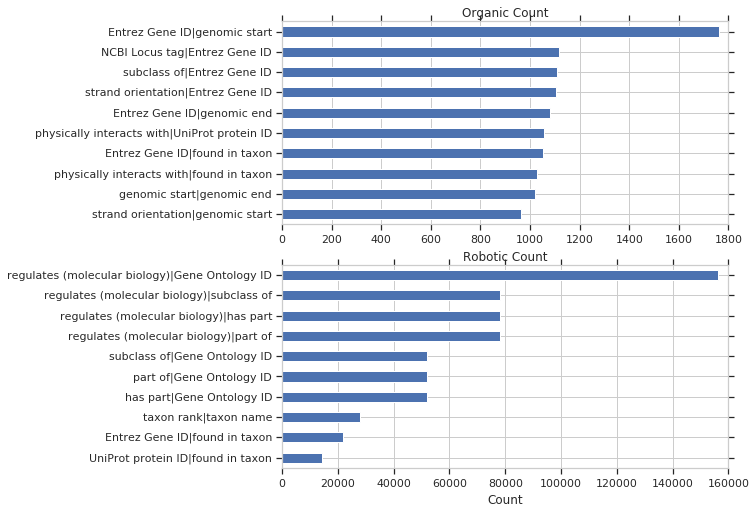 These plots together indicates that there were thousands of unique, organic, integrative queries involving biomedical items of different classes performed during this time.